Exiled Bangladeshi author Taslima Nasreen said she had hoped that the situation in West Bengal would improve for her to return after Mamata Banerjee took over as the chief minister in 2011 but she found the Trinamool Congress supremo "harsher" than the Left Front government in this regard. File Photo of exiled Bangladeshi author Taslima Nasreen reads a newspaper in a hotel in Kolkata/Reuters. Kolkata: Exiled Bangladeshi author Taslima Nasreen said she had hoped that the situation in West Bengal would improve for her to return after Mamata Banerjee took over as the chief minister in 2011 but she found the Trinamool Congress supremo "harsher" than the Left Front government in this regard. "I had expected that the situation in West Bengal will change after Mamata came to power. But I was wrong. I found her harsher than the earlier Left Front government," she told PTI over phone from her undisclosed residence in New Delhi. 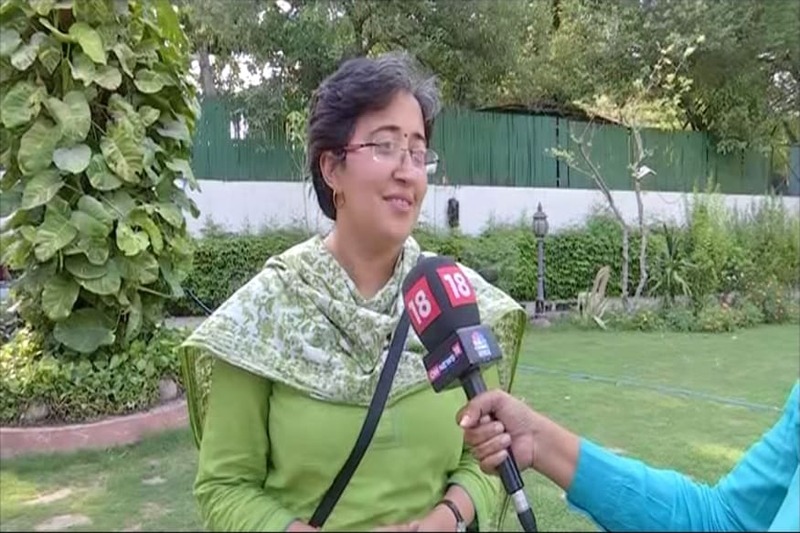 Noting that she was a "victim of votebank politics", Nasreen said that politicians irrespective of their party affiliation have the same outlook about her. "Politicians are all on the same platform when it comes down to me. I think it's because they think that if they can satisfy the Muslim fundamentalists they will get votes. I believe I am a victim of votebank politics. This also shows that how weak the democracy is and politicians ask votes by banning a writer," she said. And that is exactly what is happening in West Bengal, she said and described the opposition to her return by the state government as a "dangerous opposition". "Even though I am not staying there, she (Banerjee) has not allowed my book 'Nirbasan' to be published. Also, she has stopped the broadcast of a TV serial scripted by me after Muslim fundamentalists objected to it. She is not allowing me to enter the state... This is a dangerous opposition," Nasreen said. The Bangladeshi writer has been living in exile since 1994 in the wake of death threats by Muslim fundamentalists. After staying in Europe, Nasreen took refuge in India in 2004 and stayed in Kolkata. But in 2007, she was expelled from West Bengal following violent protests by Muslims against her writings. She had moved to Sweden, after initial staying at an undisclosed location in New Delhi. She later returned to India and now lives in New Delhi. Asked whether she would like to contact Banerjee and seek help for her return to the city, Nasreen said that she had written to the chief minister but there was no response. "I wrote to Mamata Banerjee. But there was no response to that... To be honest, I had written an article for a popular Bengali daily hoping that she will notice it and help my cause... Though it was a very positive article on Mamata but nothing changed," she said. On whether she would write to Banerjee again, the 52-year-old writer said, "No I am not going to write to her again. I do not think she will consider my request. I feel very hopeless because I expected something positive. I think when it comes down to me, she has similar vision like that of the Left leaders." Asked why she was choosing to stay in India, preferably Kolkata, despite the hindrances here, Nasreen said, "I do not consider India as a foreign country. The history of this country is my history. It's the country of my forefathers. I love this country and in Kolkata, I feel at home because I can relate that place to my homeland." "But I must say that I am not frightened by these death threats. Getting them I am not locking myself inside my room. I am going out everyday. But I am a bit more alert and leading a very cautious lifestyle." "I have sacrificed my freedom and have been sacrificing for a big cause... All these (problems) are because of my writings. I could have stopped writing against fundamentalists and possibly the bans would have been removed and I had got back my freedom and allowed to enter my motherland again. But I will never do that. I have spoken of humanism and equal rights for women and secularism stating that religion and nation should be treated separately. One should not get confused with nation and religion. Rules should be made based on equality, and not on religion," she said. Nasreen said she does not write "to get awards". "I know that only by writing I will not be able to change an entire society. The laws need to be changed. Equal rights cannot be established in a short time, it requires a long time and huge efforts," she said. Talking about her writings, the 'Lajja' author said she was still waiting to pen down her best. "Though I have written 43 books out of which many are best sellers and many have earned me awards, I still think I am yet to write the best one. I have got many awards but the best is when people come forward and tell me that my writings have help them change their vision," she said. Asked whether life would have been different if she was born in a European country, Nasreen said, "I do not think I would have been treated in the same manner if I was born there (Europe). I am a writer, not an activist. I do not participate in rallies. I write with a pen and if you have any problem why do not you pick up a pen to protest. The surprising thing in this part of the world is that they have picked up arms against me because I have expressed my views. I have never enforced my thoughts on anybody ever, then why they are trying to kill me. I am not a supporter of violence."